This study aimed to evaluate the effects of fish meal (FM) replacement by yeast hydrolysate (YH) on liver antioxidant capability, intestinal morphology, and inflammation-related genes of juvenile Jian carp (Cyprinus carpio var. Jian). A total of 600 fish (average initial weight 19.44 ± 0.06 g) were randomly selected and divided into five groups. Five isonitrogenous and isocaloric diets replacing FM by YH 0% (YH0), 1% (YH1), 3% (YH3), 5% (YH5), and 7% (YH7) were formulated. Each diet was tested in four replicates for 10 weeks. The results have shown that, compared to the control group (YH0), liver total superoxide dismutase (t-SOD), catalase (CAT), glutathione peroxidase (GPX), and glutathione (GSH) activities of fish fed YH1 and YH3 diets were significantly higher (P < 0.05). Liver malondialdehyde (MDA) concentration significantly increased as supplementation levels of YH increased from 1 to 7% (P < 0.05). 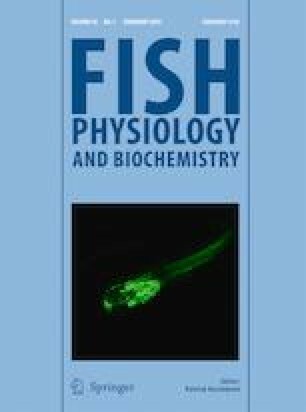 Moreover, intestinal microvillus length of juvenile Jian carp fed YH diets were significantly higher than that of fish fed the control diet (P < 0.05). In proximal intestine, the relative expression levels of inflammation-related genes (ALP, IL-1β, and TNF-α) in YH7 were significantly higher than that in the control group (P < 0.05). However, in midintestine, the expression levels of these genes in YH3 were significantly lower compared to the control group (P < 0.05). The results of this study indicated that dietary replacement of FM by 3%YH could improve antioxidant capability and intestinal microvillus morphology, as well as enhance the non-specific immunity of juvenile Jian carp. This research was funded by the earmarked fund for China Agriculture Research System (CARS-45-14), the National Natural Science Foundation of China (31502178) and the Fundamental Research Funds for the Central Universities (KJQN201612).